SEO (Search Engine Optimization) for Blogspost Blog, when I have started blogging I did not believe in SEO but one day I was reading an article on SearchEngineLand that SEO can change your visitors ratio easily. That's why, I have started working with this alone because I did not have that much money that I can hire any SEO agency that's why I had learned it and I am learning now even. Because, it is not a story it is a daily changing strategy but still there are somethings on SEO those are always work. I will share with you in this article about those tips for you, that's why you can drive more traffic to your blog. Yes this is the old is gold method to get few more visitors to your blog here are those steps to add Meta Description to your blogspot blog. Go to blogger.com<Log in< Click on the blog on which blog you wanna add this Tag<Click on Template then you will see two options over there one is Customize and another one is Edit HTML. Now do the final steps click on "Edit HTML"
You don't need to go any where just find on the same window you can find easily. The tags I have used here because my blog is having content related these tags that's why I have Added these. You must add tags according to your blog content then only you will see the difference how your blog visitors will get increase dramatically. This is more simple don't go any where from the page just copy paste the below code just after the the above code you have pasted. See the preview of your template now click on "Save Template". Most Important Points about SEO in 2016- Many SEO experts believe that these two SEO set up does not work in 2014, actually I don't know why these guys says this, because actually it is working even in 2014, because I have experiment with this and got result when I tried to get rank for a keywords "Blogger Tips and Tricks 2014", if you want to see result then you can search on Google you will definitely see my blog post on the top position of the search engine results pages (SERP). If you are new to blogging world then may be your blog not get index on Yahoo, Google, Bing then you must submit your blog to these search engines get benefit of above two steps. Yes but how would you come to know that your blog is get index on the search engines or not, actually there are many ways to come to know but I have written an article on this topic that how could you come to know about how many pages your blog index on the search engines. 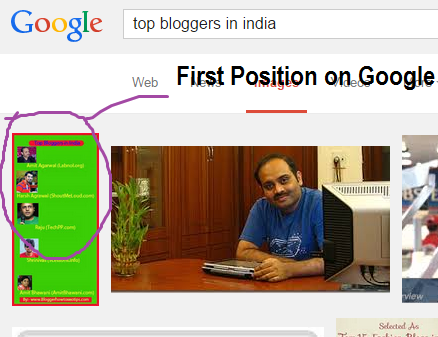 As I told always Indian bloggers to sign up with Indiblogger.in and get unlimited benefit from this website for free. Don't forget to start sharing your blog post on this directory website to get traffic, backlinks, trust and what not. If you did not Sign Up yet then go for it. There are many features of this website, as I have already tell you about Back Links other than this you can interact with other bloggers of the country (India), among of them there are many those are professional blogger, you can also join forum for asking questions, any type of questions and as well as you can also answer any questions. In blogging, title of the post play important how? let me explain people search on search engine then they got results right. They got results according to what they are searching right, if you will give title name of your post exactly people are searching then I am sure you will get more visitors. See, there are more than 4000 bloggers read this blog post and this is just amazing that this blog post reach to this much people. And more important is that bloggers got help from this blog, I want you also to get help from this blog post, if you need to any other help then let me know. I am always therefore you. Update Content- May be you did not do this step earlier, well be careful for doing this step, see if you will add really good fresh content to your blog post then it is just awesome for you, but just don't click on the publish bottom, take time and then write fresh content that's why people as well as Google both will like your content. Social Media Sharing- These days social medias play really important role for me Reddit and Facebook both are working just Awesome, if you want to get traffic from social media then I will recommend you to test both these networks it can make your blog server down. On Page Optimization- Off page optimization requires lot of hard work and many things you need to learn but On Page Optimization is much simple, that's why you must optimized your blog for SEO, if you wanna get highest converting traffic. User's Priority- Search Engine Optimization is good for getting traffic to blog, but you need to optimize your content for people also, after all your blog posts will be read and get help by people not by search engines remember that always. Yes, that's right, my blog image rank first on Google for that particular keyword for which keyword I have optimized the image, I hope you like it. To make sure please Google about it, that's why you will be sure that it works in real. One of this best thing, I have learn in blogging is that only writing ton of content is not helpful enough yes if you are writing about tech news then its okay that daily you are updating something new in your blog. But, if you have choose a topic to write on your blog which is having potential to keep changing then you have to update it with time to help your readers that's why they will also stay updated. This is the basic thing about it. In blogging, you have to learn new thing then you have to implement it somewhere, where it is applicable to implement and then you need to share its result. SEO is the only right way to promote your blog for free, I mean this is best ever way to get connected with your readers and more important it is absolutely free. But you need to know the right way to do it, I know those are beginner bloggers they just struggle with this and moving here and there for right information, I am saying this because I was in the same situation few years ago, that's why I have write a blog post after spending 10 hours which is about all SEO Tips and Tricks. I hope you like the article, if you have any kind of doubt let me know by writing your valuable comments below. If you will read the post properly then you will definitely come to know, by the way. You have to write about your blog niche like for example blogging | SEO | Make Money Online, but make sure you are providing information on your blog on same niche. Hello,Thanks for this post.that is reallt good and informative blog for SEO. This looks great! Maybe you can do an article about Social Media next time -- what right topics to post or something like that. Wow, glad that you think so. if u got time...pls go through the bankingexaminationhelp.blogspot.in and generalknowledgehelp.blogspot.in, and suggest. Thanks for reading my blog, I'll suggest you to buy domain name for your blog, it'll help you lot. Hi Sen..it's the best of article..I Like it. I think there is a problem with code just before b skin, if you can give me your blog url then I can check it. Thanks for sharing. This is really a helpful article. if you are interested, you can checked it http://www.fastseoresult.com/. First of all your domain name is not having good keywords, others you need to be do right way like few basic SEO, your website design, proper navigation etc. If you need any other help like On Page as well as off page optimization, link building out source then let me know!